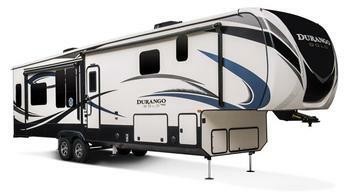 KZRV is recalling model year 2014-2015 Durango Gold recreational trailers. A rivet for the vehicle's quad entry steps may shear and fail, causing the steps to give when being used and cause the user to fall, increasing the risk of personal injury..
KZRV will notify owners, and dealers will inspect and replace the two rivets joining the second and third step, and the four rivets on the top step, free of charge. The recall is expected to begin February 2, 2018. Owners may contact KZRV customer service at 1-800-768-4016 extension 154 or 153.